Hubz & I were at Michael’s a few weeks ago and there we saw reusable Christmas gift bags that made me say awww out loud, would you believe the print was faux kids colouring art! As a mama of 4 and an aunt of 7 (girls) I have been making “kid art” things for many many years ( I’m old but I also started very young so not that old lol), I believe a child can not be any prouder of their hard work then to see it printed on things and used as gifts etc. Hubz and I are handy, I’m crafty, but neither of us are artistic, we leave that to our future daughter in law, and oldest niece, both amazing artists! I remember when our niece was a few years younger then her 14 years now she did a school essay on me, yup me, what an honour! How she looked up to me and my craftiness, now I and all of us sit in awe of her talent and I hope she always pursues her passion in her future and shares her beautiful work with the world. 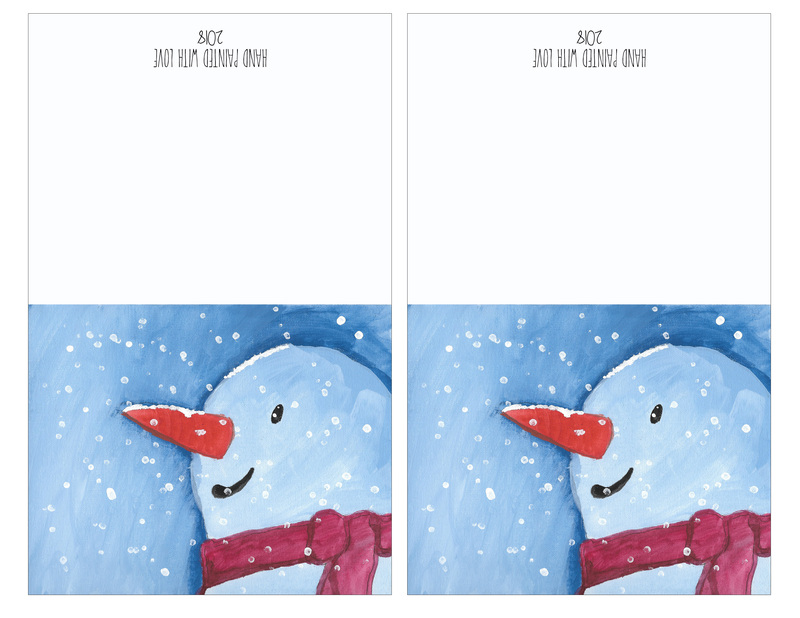 We do love art and of course lead by example so we pic up the occasional paint brush and pencil and do our best, this year we used a you tube tutorial and painted snowmen which I turned into Christmas cards and gift tags. I got the 2 youngest involved and together they and I did some drawing and colouring to turn into holiday cards for Meals on Wheels to pass out to their clients. To make your own all you need is a scanner and a program to create them, or ask; someone you know most likely can give you a hand. 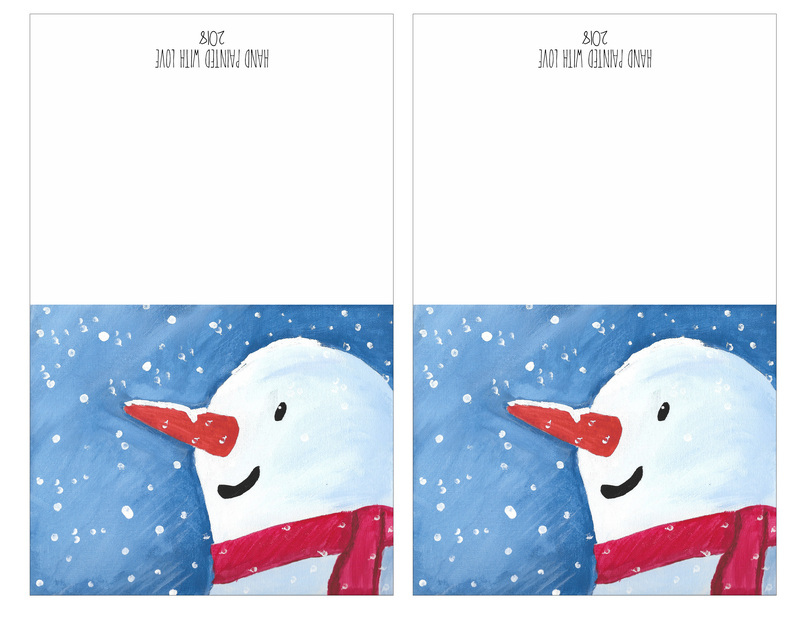 If you have a scanner but no program, use the artwork to have cards made at a print place. I know Costco & Staples do it, you provide the picture and the cards are templates they have, they can even scan the art for you. 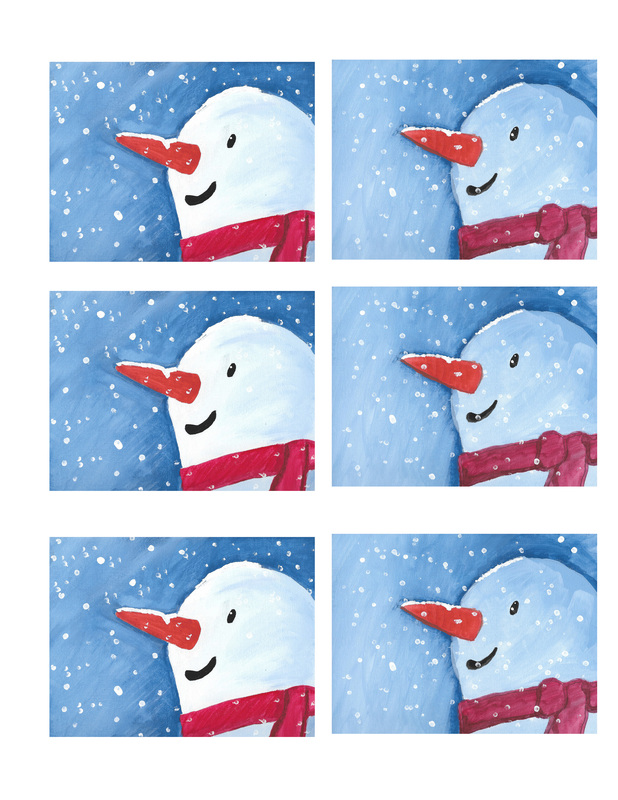 The first set here are made from scanning a 8×10 canvas that Hubz and I painted these snowmen on. The link is Clive Art for the turtorial. I made them into cards and gift tags, the originals sit in a winter display in our den and Hubz and I will soon make 2 more to display there. These are scans of printed off simple shapes in a very very light grey, I painted them right on the printer paper. Lastly these are scans from free colouring pages we printed off and coloured in. A few weeks ago I shared some Rae Dunn inspired crafts and tags, below is a cassette tape case tag holder, it fits these tags perfectly ( sized 2.75 x 3.75) but also will fit slightly larger ones. 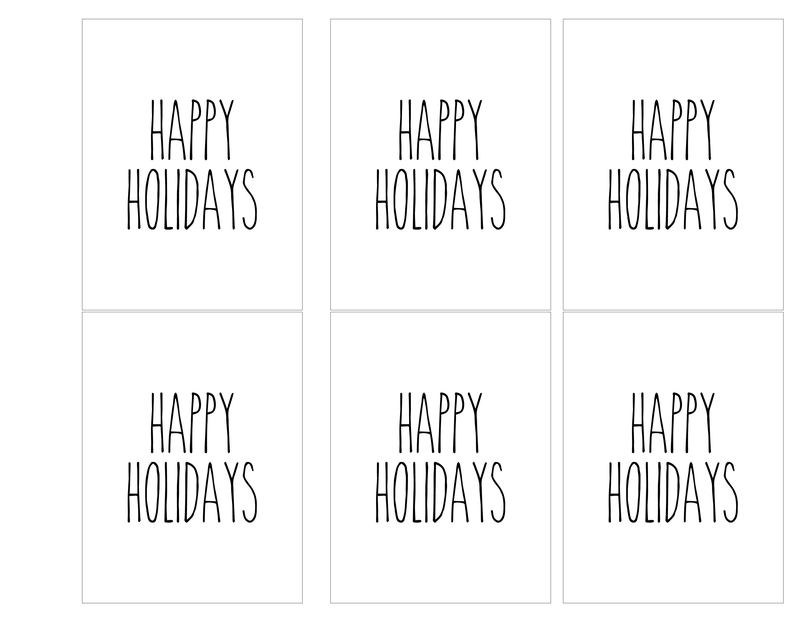 Make one for yourself and one as a gift filled with handmade tags. I keep a stack of mine inside with a hole punched in the corner of them all and string some cotton string onto them as needed when wrapping. 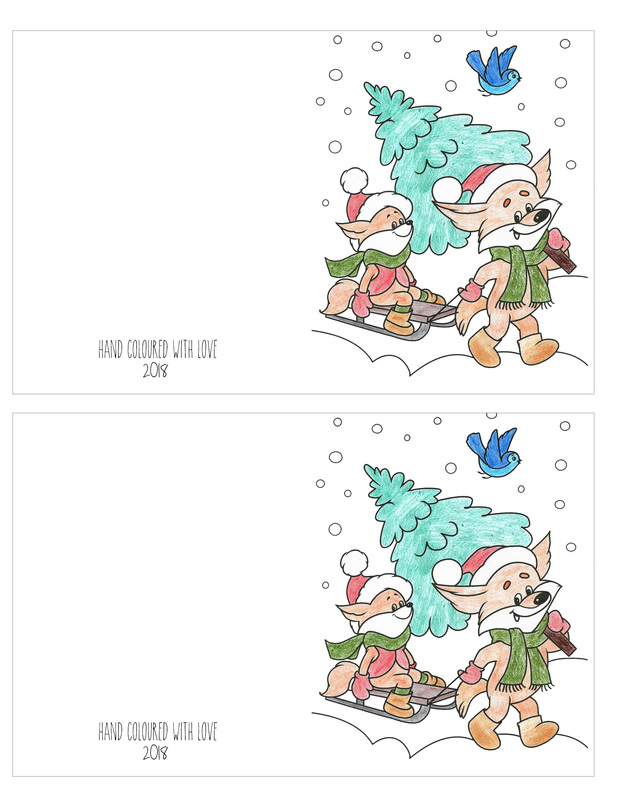 For a gift card holder just simply use the case insert and trace it onto the back of scrap paper or wrapping paper, cut out and follow my instructions in the Rae Dunn link above, you can paint them like the Rae Dunn signs or just add the scrap paper for a quick holder. Pop in a cash gift or a giftcard, attach a home made artwork card and you have yourself a perfect hand made with love gift. 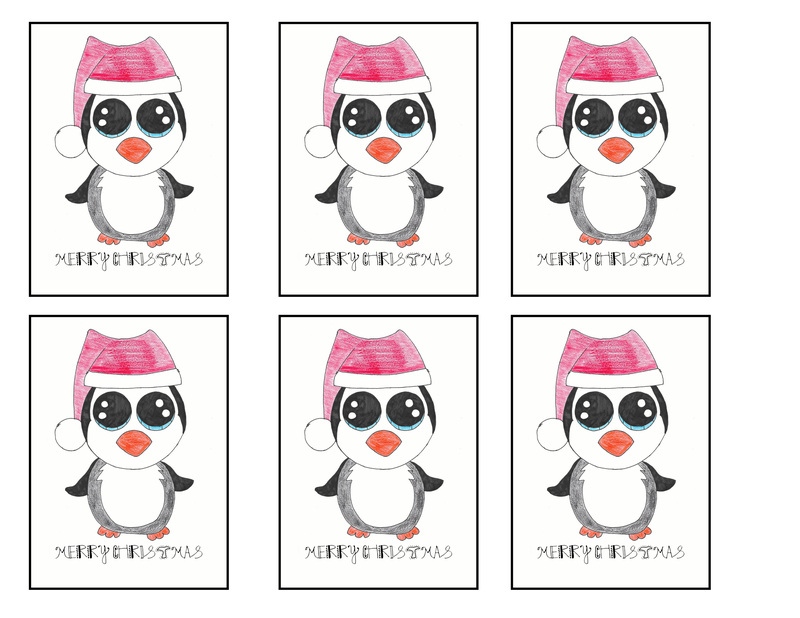 Another great gift that we’ve done with the kids in the past is note pads for grandparents, you can find some winter ones here ready to print and colour. Just stack a few on top of each other once they are coloured in and staple at the top. 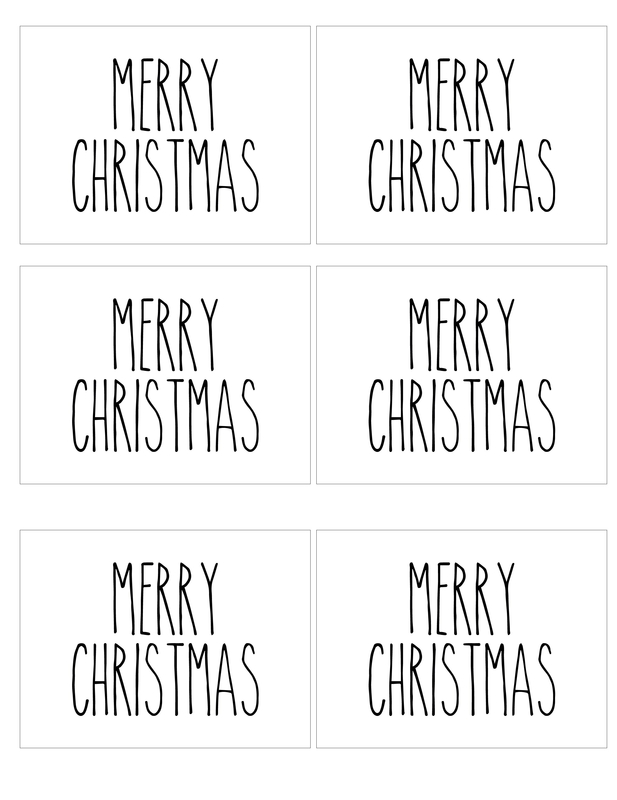 As Promised here are some of the cards ready to print for you as well as some tags. Click on your choice and it will open in a new window, save and then print. Please make sure fit to page /frame is not selected on your printer when printing. 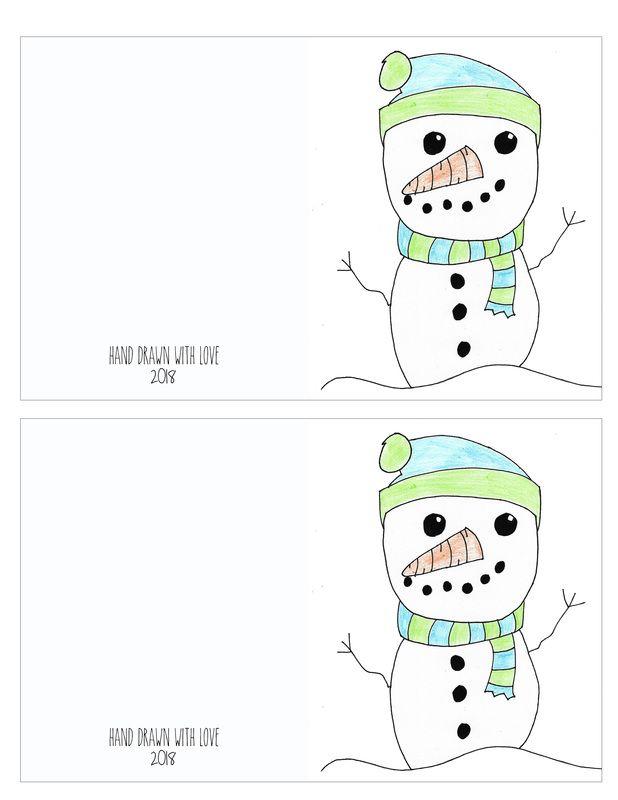 Adorable, I love Snowmen. Thanks for the prints too. 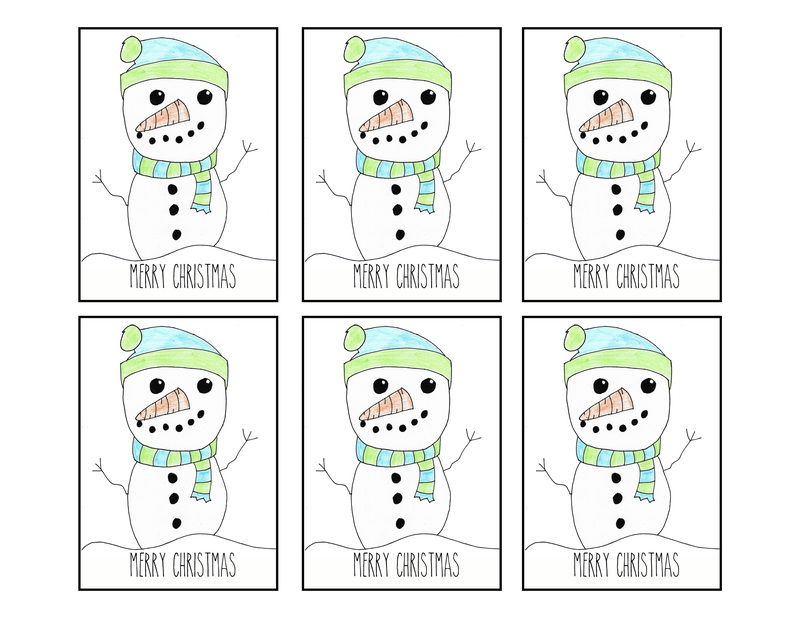 Your snowmen all came out great. I love the snowmen–thanks for sharing at Vintage Charm! Thanks for sharing with us at the To Grandma’s house we go link party, see you next week!